And so I opened my diary. To a page I wrote about disneyland as I read about it during my architecture course. It was some lovely article. But since it'd take me a long time to search it on google and it's already late, remind me later. Disneyland. The architecture of re-assurance. Disneyland is presented as imaginary in order to make us belive that the rest is real. -Jean Baudrillard. Pity I didn't even know who Baudrillard was when I'd read that article 3 years ago. Everybody wants to be pretentious. The guy was a French philosopher, and we'd read a bit about his theories (? can you call 'em that?) in our elective on Modernization and Creative Communication. There was no course structure, really. We read from this book 'anti-oedipal complex' by Deleuze and Guattari. But of course, saving for another blog post. Or another late night party conversation. Pity no one is interested in philosphies these days. Everybody loves talking about the future. Which, allows me to refer back to our main topic. 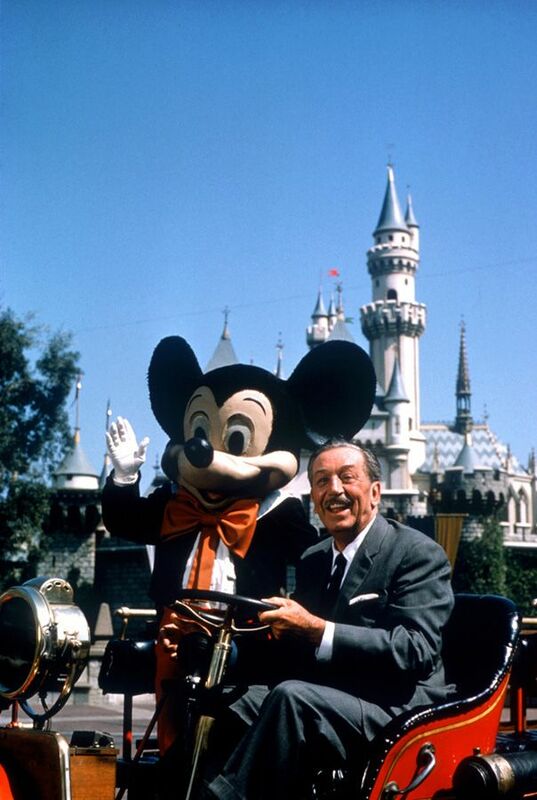 Walt Disney believed in the future he was selling. The first working monorail was perhaps inspired by his people mover, a mini electric train for urban mass transit. 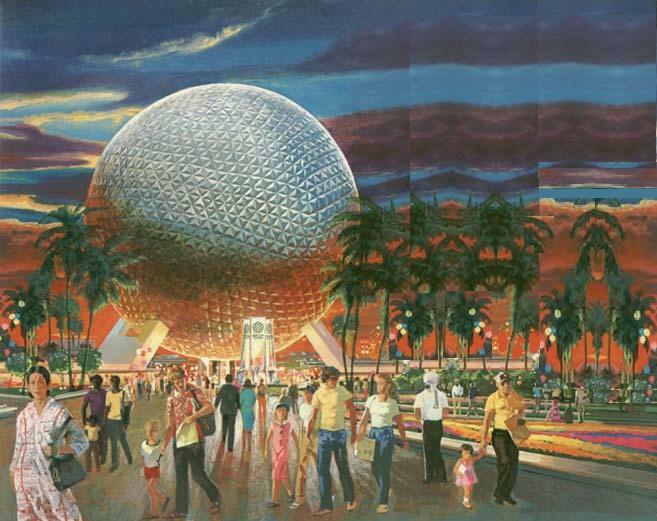 His progress city idea or EPCOT (experimental prototype of community of tomorrow) was surprisingly in step with the current ideas of urban planning. Reminds me of Maitri Mandir, Auroville. But yes, like that of apple, disney's utopianism died with its master in 1966. Tomorrowland ceased to anticipate real future and focussed on futuristic attractions. Disneyland invokes an urbanism without producing a city. Rather, it produces a kind of aura tripped hypercity. Physicalized, yet conceptual. It is a utopia of trasience. with billions of citizens who consume, but no residence. A place where everyone is simply passing through. Do you find such sentences trippy? Sigh, I know. Everyone talks about me being crazy. Do you even realize that disneyland theme parks earnings are almost double that of disney's main earnings of movies and films? Talk about people spending money. 15 billion dollars. Can you visualize Scrooge's swimming pool? And let me know if you are planning to save for a visit. I will also take out my piggy bank. I want to go to such surreal places. Neither pure fantasy, nor quite reality. Both utopian and distopian. A paradox and a contradiction. Will leave you mulling over a sentence I wrote a month ago. Dichotomy will lead to accelerated evolution. Agree, disagree, elaborate?